This week, a column in the Washington Post called on local leaders to address “the hard facts of inequality” in children’s access to opportunities to learn. The column calls for personalized schools and “systems of support” that help children focus on learning when they arrive at school. This is particularly important given the achievement gaps that children from low-income families struggle to close. 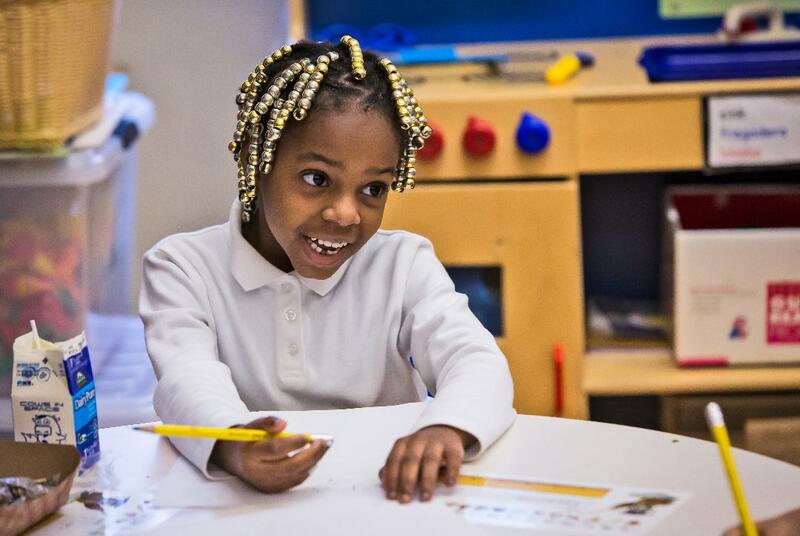 Here at City Connects, creating systems of support and opportunity so that children can succeed academically and personally, is at the heart of what we do. Two years ago, WGBH radio broadcast a story on City Connects, and we’re sharing it now because it brings this idea to life. “9-year old Edgardo Garcia is a shy 4th grader at the Holmes elementary school in Dorchester who likes reading and gym class and his 8 month old brother. “But last year his principal Yeshi Gaskin Lamour noticed something was wrong…. The principal asked City Connects coordinator Ann Young, a social worker, to get involved. That’s City Connects in a nutshell. To hear more, click here.